Our leg injury therapy programs provide each patient with an individualized evaluation that allows the patient and clinician to work together to design a plan suited for their personal injury. This plan is likely to include stretching and strengthening exercises along with balance and gait training. Leg injury treatment requires accurate and thorough focus to restore the leg to health and reduce the chance of any leg re-injury. Adductor strain, hamstring strain, Osteitis Pubis (pubic symphysis pain), post pregnancy pelvic pain and hypermobility, Sacroiliac joint dysfunction, sacroiliitis. Arthritis, bursitis, femoral nerve entrapment, gluteal pain, groin strain, hamstring strain, hipflexor strain, post operative hip joint replacement, piriformis syndrome, quadriceps strain. Whether you have chronic pain in your knees, thighs, calves or shins, just had a total joint replacement or seek specific hamstring injury therapy, Achilles tendon injury therapy or other leg/sports injury therapy, our leg injuries therapy programs focus on restoring range of motion, strength and function. Many people suffer from symptoms of tight leg muscles. A common cause of leg tightness is related to the amount of time we spend sitting during the workday. As our knees are bent in this position, the muscles that flex the knee joint become used to being in this shortened position. Tight leg muscles can predispose one to injury during daily and recreational activities as well as contribute to the development of back pain. To prevent this, it is important to perform leg stretching exercises to loosen tight muscles. Leg injuries are very common in nowadays population simply because we are largely a sitting society. A lot of time is being spent in a seated position – whether during work, in the car, or when relaxing and socializing – almost all activities are spent in a chair. 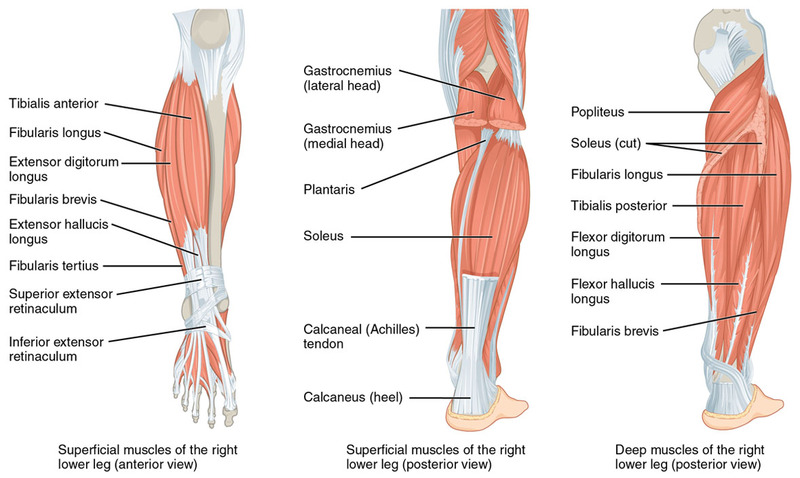 Over time, muscles of the leg become atrophied from non-use and muscle strength will get gradually reduced. When muscle strength in the leg diminishes, more emphasis of force and load is put on joints and ligaments of the knee for stability and motion. Over time, we start to develop arthritis and wear-and-tear on cartilage as we move around and perform daily or recreational activities. Ligaments and tendons are also heavily dependent upon for angular and joint stability when muscle strength is lacking, and this can cause pain and derail the patient’s ability to return to sport.